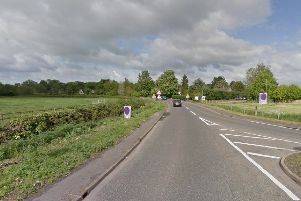 A woman was injured following a collision between a car and a bus on the A47 in Peterborough this morning, Wednesday June 22. Emergency services were called at 8.43am this morning to the scene on the A47 near Dogsthorpe. An ambulance and an ambulance officer attended and treated one patient, a woman believed to be in her 30s with neck and back pain. She was taken to Peterborough City Hospital for further care.